Who said the best HDR is the real one? That’s a rhetorical question some digital photographers who tend to opt for an all-done-in-post-processing approach often like to pose. The question itself may sound blasphemous to purists of HDR photography, but reflecting on it, in some cases the best HDR can indeed be the fake one. This is for different reasons: when you don’t have a tripod or other means of support, taking bracketed photos can be a problem; also, some HDR pictures present issues like halation, which can be a pain to remove. And this is just to mention two of the most common problems connected to HDR photography. After years of expertise in multimedia development, Canadian Mediachance now brings to Apple portable devices their proprietary DPHDR (Dynamic Photo HDR) processing. The result is Dynamic Light, an optimized tool for generating HDR-like effect on iPhone, iPod Touch and iPad that will make things easier for many fans of the HDR style. Dynamic Light works both with built-in camera and with photos stored in your camera roll. What the app does, basically, is to simulate HDR using a single image instead of using several exposures as in real HDR. 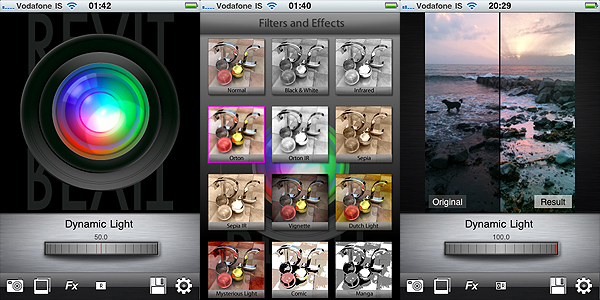 The Dynamic Light proprietary filter is chosen by default as soon as you start the app, but you have eleven more filters available to choose from. Among the most interesting ones, you will find Orton and Orton Infrared, another filter based on a very popular effect among digital photographers, which consists in processing the photo in order to create a unique mix of areas characterized by sharp detail and others with extreme out of focus. All you have to do once you choose the filter is to adjusts its intensity using the on-screen wheel. From low to high values, depending on the filter, outcomes can change a lot. In the app’s settings you can also adjust individual parameters — Radius, Surface Smoothness and Color Boost — to determine how filters will affect your images. Obtaining decent looking fake HDR using a single exposure is not as easy as one might think. To achieve it, many apps simply apply heavy sharpening and over-saturation that brings out unrealistic hues. In these cases the results are usually abominable. Dynamic Light succeeds in actually improving the look of the initial photo, enriching it with details that were lost in darkness and emphasizing the original colors without making them look strident and cheap. Some of the additional effects besides the default are also very well-done, like the aforementioned Orton and the Sepia, also in their Infrared variations. The only filters I cannot bring myself to like and use are Comic and Manga — but I have yet to see an all-around great comic filter. For better results, developers suggest to use Dynamic Light HDR on outdoors and landscape photos with rich textures, unless you’re looking for very particular results. I must say that I have tried the app also with photos that definitely couldn’t be considered ideal, and I was pleased. Dynamic Light is much easier to handle than real HDR and results you can obtain are terrific. For its quality and at the given price, Mediachance’s is an app I feel like recommending without hesitation. 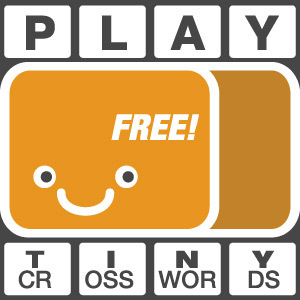 This app is amazing and yet so simple! Right now it is the one I’m using the most! I love this app! Definitely the best photo app out of app store.